Five of University Alliance’s institutions have picked up top accolades at the Times Higher Education Awards 2014 last night. They took the top spot in a number of categories including most outstanding employer engagement initiative, most outstanding support for students and the international collaboration of the year. The University of Salford picked up two of the night’s awards – for Outstanding Contribution to Innovation and Technology and Business School of the Year. “We are totally delighted at the success of our Alliance universities at the THE Awards which recognises the hard work carried out by their academic and professional staff and students. 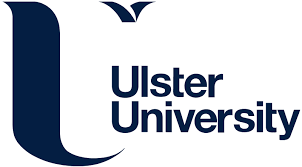 “From providing the best possible educational experience for students to providing jobs for their local communities, from leading the way in supporting employers and industries to nurturing the next generation of entrepreneurs – Alliance universities are generating much-needed economic growth and attracting investment, especially in parts of the country which need it most.